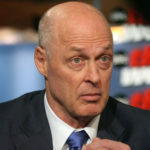 Henry Paulson answers the question of what makes a great leader by using his long experience working with all types of leaders in government and in business. He discusses how there are no perfect leaders and that top jobs by their nature will uncover a person’s weaknesses and flaws. Paulson identifies characteristics that are common to great leaders including self awareness which he ranks as the most important quality for leading any organization. Previous VideoWhat is your Definition of Learning? Next Video Who should read Smart People Should Build Things?